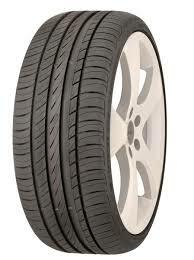 Sava Tyres are one of the biggest producers of tyres with europe. 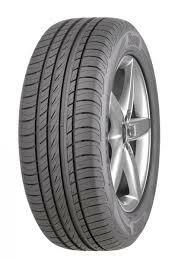 Part of ther Goodyear famiy you can rest assured that when buying Sava tyres you will be buying state of the art tyres created by Goodyear technology. 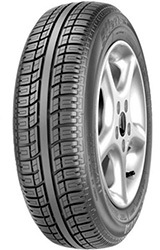 Sava tyres are available for Cars, 4x4\'s, Light trucks and commercial vehicles. Sava stared out life in the tyre market back in 1921 but only became known as Sava tyres in 1946. The comapny went from strength to strength and was partially bought out by Goodyear in 1997 with the complete purchase being completed in 2004. With over 90 years of experience in the tyre market you can be happy in the knowledge that you have bought great quality tyres at a good price. 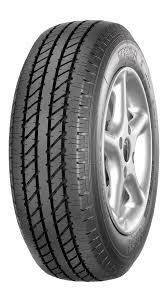 Effecta+ tyres offer an excellent balance of performance, comfort and safety on every journey. The tread pattern has been designed to increased water dispersion to reduce the chance of aquaplaning while also reducing road noise. Combined with a smooth ride, you have comfort and safety supplied together. The other side of the coin is that these tyres offer a great amount of grip and stability along with fantastic levels of reliability, making them an all-around fantastic choice not to be missed. Sava Effecta+ tyres are a great choice. Sava Intensa HP tyres are high performance options that allow you to get the most out of every journey no matter what conditions you may face. Fantastic amounts of traction, stability and responsiveness are key features of Intensa HP tyres as well as reduced road noise and increased water drainage to minimise the risk of aquaplaning. 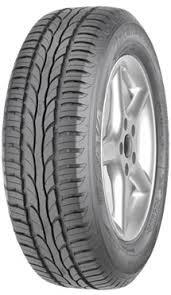 Intensa HP tyres don’t sacrifice any comfort or safety for their performance, making them a great choice. The Intensa UHP is an ultra-high performance tyre that delivers unbeatable traction, precision and stability on every journey. No matter where you go or what conditions you face, you can trust that the Intensa UHP tyres from Sava will keep you safe and in control. With great levels of reliability and durability, these options won’t let you down and will prove to be exceptional quality over their lifespan. Don’t miss out on Sava Intensa UHP tyres now. Sava’s Perfecta tyres are designed for maximum mileage and exceptionally low fuel consumption. 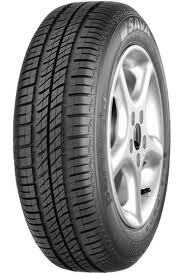 These are the perfect options for anyone looking for long lasting tyres at a great price but also for people who want to save even more money by cutting down on fuel costs. While these two stand out features are fantastic on their own, you’ll benefit from great levels of comfort, stability and performance on every journey to make sure you don’t regret choosing Perfecta tyres. Trenta tyres are a great value option from Sava that offers great longevity and fantastic performance throughout their lifespan. They have an extremely high level of wear resistance and can handle any extra weight from loads and goods you need to transport. This long-lasting tyre is a great choice to ensure you get the best value from every set without compromising on performance, comfort or safety and that puts Trenta tyres at the top of any list.